Bearly Dead is an all-star cast of players with deep roots in the New England jam & festival scene. While the band plays all of The Grateful Dead classics, they also dive into an extended catalog, which may include any song that any member of the Dead ever performed. With over 230 songs in rotation and new material being added all the time, Bearly Dead performs wildly different set lists every night and ensures that each show is a unique experience. With no designated “Jerry” or “Bobby”, this band is able to breathe new life into songs with their fresh, high-energy approach to them. Bearly Dead is a setlist-nerd’s dream!!! Founded during an intense snowstorm in April 2015, Bearly Dead played its first show at Church of Boston, marking the beginning of its hallowed Wednesday Night Residency. In September of that year, Church was sold and the band found a new home on Wednesday nights at Thunder Road in Somerville. Since then, Bearly Dead has been nominated twice for the Boston Music Award’s “Live Music Residency of the Year,” and has burst onto the scene as New England’s premier Grateful Dead tribute band. 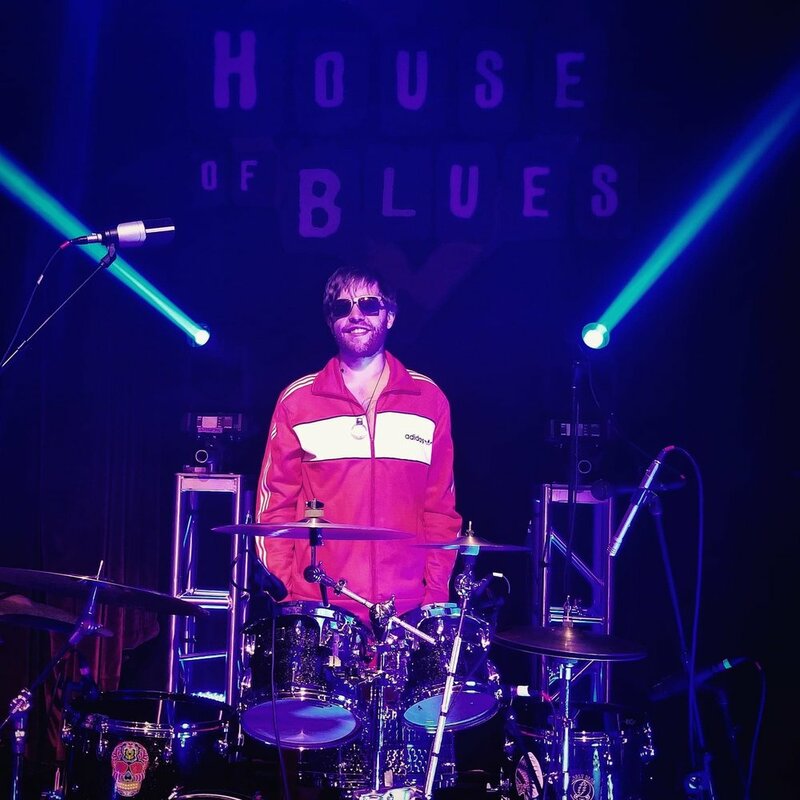 The band has had the opportunity to play at some of Massachusetts’ most prestigious venues, including The Paradise Rock Club and The Worcester Palladium, as well as headlining turns at The House of Blues Boston, The Sinclair, and The Middle East Downstairs. Bearly Dead has also become a staple in the New England festival scene with appearances at Disc Jam, Wild Woods, Luna Light, Wormtown, Yasgur Road Reunion, Great North, Kind Mind Campout, and many more. Bearly Dead’s Wednesday Night Residency at Thunder Road has continued unabated every week since its inception in September 2015. The phrase “Never Miss A Wednesday Show” has become ubiquitous around Boston...and you really never know what might happen! Thunder Road is now a beacon to all musicians on Wednesday nights to come join in the fun, with notable appearances by Mike Campbell (Tom Petty & The Heartbreakers), Paul Wolstencroft (Slightly Stoopid), Steve Molitz (Particle/Phil Lesh & Friends), Kebbi Williams (Tedeschi Trucks Band), Rob Compa (Dopapod), Hayley Jane (Hayley Jane & The Primates), Johnny Trama (Dub Apocalypse), and Gary Backstrom (Gary Backstrom Band); and a surprise appearance by Jerry Garcia’s “Wolf” guitar in 2018 on Jerry Garcia’s birthday! There is no better place to be on a Wednesday night in Boston than at Thunder Road! Tyler Brooks is a professional musician based out of Boston, MA. He has performed and recorded internationally, and is a founding member of Bearly Dead. 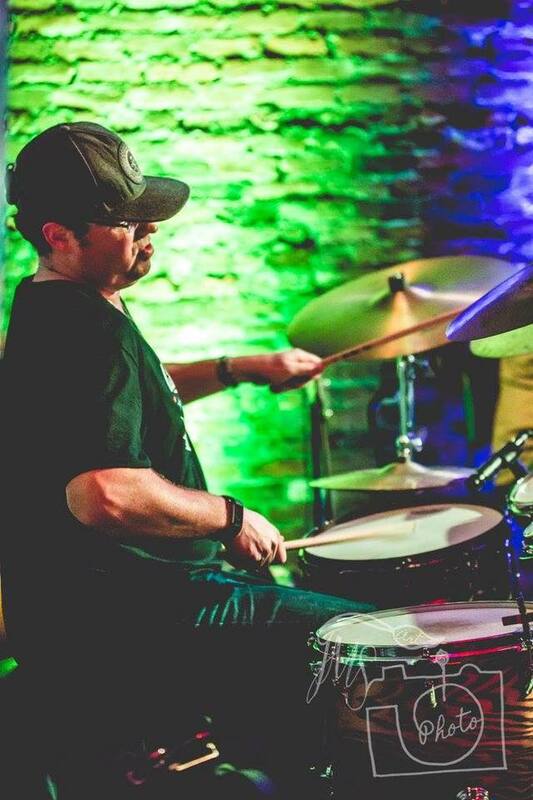 Brian Sayers has been a professional drummer for over 20 years. He has performed and toured both nationally and internationally. Brendan Tommaney graduated from New England Conservatory of Music with a performance degree in Jazz Studies. He studied with Fred Buda, Bob Moses, Cecil McBee, Danilo Perez, Sa Davis, and Richie Flores. Brendan began his professional career performing with various artists throughout New England and the East Coast and was a founding member of the highly acclaimed Rocket Band. 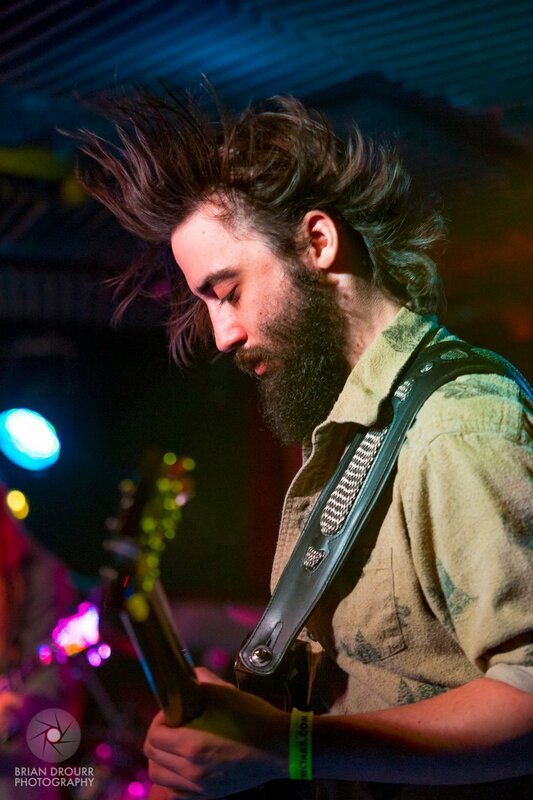 Brendan currently performs regularly with Bearly Dead as well as with local groups on the Northeast music scene. Dave Becker is a multi-instrumentalist who has been a part of Boston's music scene since arriving in 2009. He has performed with number of different bands and artists in various roles. Becker has been Bearly Dead's bass player since June 2015, providing energetic and dynamic bass lines, powerful and passionate vocals, and countless hair flips. Becker has also contributed guitar, pedal steel, harmonica, and keyboards to the band’s performances over the years. Jeff Vetstein has been a guitarist/vocalist on the Boston music scene stretching back 20 years. He brings an element of authenticity to the band, having grown up playing the Grateful Dead’s music. Jeff taught himself to play with an acoustic guitar and a copy of The Grateful Dead Anthology. Nick Swift is a guitarist/vocalist who brings an improvisatory flair to Bearly Dead. He is also the band’s resident stats nerd who maintains the band's various spreadsheets. Milt Reder is a guitarist/composer/producer who has performed throughout America and Europe since the 1970s. He is currently very active on the Boston live music scene, where he has appeared in some of the region’s most popular bands, as well as producing music for film and television at his studio, Rear Window, in Brookline, MA. Michael Butler, a well-known man of mystery, has been performing various styles of music with musicians from many different scenes for many years. He is also known as a radio personality, having interviewed a who’s who in music today. Justin Lopes is a Hammond organist, pianist, and keyboard player. He plays with several of New England’s most popular bands, and performs over 200 shows a year throughout the United States.